Applicants are advised to fill the application form after fulfilling the eligibility conditions otherwise their form will get rejected. To know all the information related to Jamia Hamdard MBA Admission 2019refer to this page. The MBA curriculum is designed keeping in mind industry requirements; our students are being constantly exposed to industry experts in various areas throughout the course. Four Semester Program Covers the papers, which concentrate on Marketing, Finance, Human Resource, e-Commerce and International Business. Applicants can check the complete information of Jamia Hamdard MBA Admission 2019 like application process, eligibility criteria and other instruction from this page below. Appeared in MAT conducted by AIMA. University will accept score of MAT/CMAT/CAT/ held during 12 months preceding June 1st of the year of admission. Foreign/ NRI/ Sponsored candidates are exempted from the MAT. 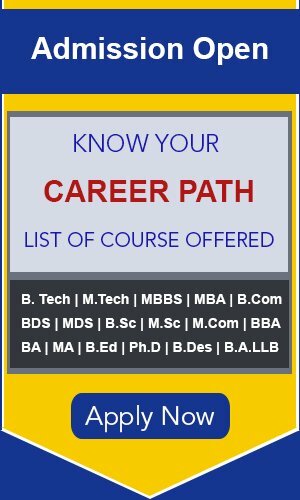 Candidates with MBBS/BUMS/ BDS/ BPT/ BOT/ B.Pharm/ B.Tech (Biotech)/ M.Sc. (Biotech) / M.Sc. (Bio-Chem.) /M.Sc. (Chem) are exempted from MAT and other competitive examinations. Mid-career professionals with 2 years of experience are also exempted from these tests. They will be directly called for GD/P.I. CMAT / MAT /GMAT / XAT /CAT / GPAT / ATMA score is not required. They will have to appear for English proficiency, GD & PI. Candidates with very good academic record may also be exempted, subject to approval from the competent authority. Such candidate will undergo an aptitude test conducted by the department. On the basis of qualified CMAT (up to January 2019)/MAT (up to May 2019)/GMAT (up to -2019) / XAT (up to January 2019) /CAT/ ATMA (Association of Indian Management Schools Test (ATMA) exams scores or any other examination approved by the University. Shortlisted candidates will be called for Group Discussion (GD) and Personal Interview (PI) to be conducted at Jamia Hamdard campus. Their admission will be made on the basis of overall merit determined by the University. Interested candidates can downloaded the application form www.jamiahamdard.edu and submit the duly-filled application form to “Jamia Hamdard, New Delhi”. Candidate should send this information to sjohn_ms@jamiahamdard.ac.in also DD/Cheque of Rs.1500/- along with hard copy of this format should be sent to following address “Head of the Department, Faculty of Management (Archives Building), Jamia Hamdard, Hamdard Nagar, New Delhi-110062”.